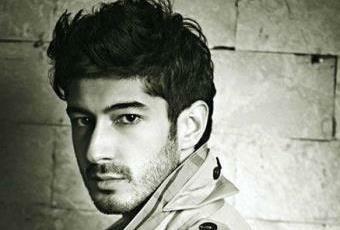 Belonging to a successful film family, Mohit Marwah grew up seeing his grandfather and uncles working in Bollywood movies.�� After graduating from The Lee Strasberg Acting School in New York, he is now all set to make his acting debut with Grazing Goat Production�۪s ��Fugly�۪.�� The film, which is a light hearted socio-political thriller, has been directed by Kabir Sadanand. BizAsia had the chance to catch up with the upcoming star about his debut film, his childhood and his family. Your father is the founder of ��Marwah Studios�۪ and you have always had many actors and filmmakers in the family.�� As a child, were you quite aware of your family working in the movie business or were you shielded away from it all? As far as I remember when my father had started the film studio I was very young but I was very keen to be at the studio during my holidays, as there used to be movies and Ad films being shot there.�� I used to love being there and watching; somewhere the spark got ignited – that I need to do something in films. ��Also I was completely aware of the fact about my maternal grandfather (Surinder Kapoor) and Mama’s (uncles Boney, Anil and Sanjay Kapoor) being a part of the film industry.�� Every time I used to travel from Delhi to Mumbai, to hang out with them, all we would discuss would be movies. Being related to an acting legend like Anil Kapoor, did you grow up knowing that you would be an actor some day? I’ve really enjoyed his films as a kid and I am a big fan of his work.�� It would be great for me to do a film with him one day. ��I probably decided around high school that I wanted to be an actor.�� Though I remember the first play I did was when I was in my 4th grade and the only part I could manage to get was that of a tree, (laughs) maybe because of my height! How do you feel your experience at The Lee Strasberg Acting School has prepped you for acting in B�۪town movies? Strasberg is based in New York and it was very instrumental in opening me up as a person.�� Not just the school but also the city gave me a lot of exposure as this was the first time I had left my family and my home to be on my own. ��Just staying in New York changed everything for me. ��Also, I came across enormous��talent at Strasberg: there were people from different parts of South America, Europe and everywhere else, who came under one roof, and every time we did something together it was magic, because of the coming together of so many cultures. How did you zero in on ��Fugly�۪ as your debut film? What was it about the film and your role that convinced you? ��Fugly�۪ as a script attracted me to it a lot.�� After I auditioned and got the part I went through the script and I realised that this is exactly how I wanted to start my career. ��Dev’s character has a lot of layers in him. ��The thing about Dev is that he is a carefree person and yet not careless. He is so different from how I am in real life. ��I’m a spontaneous person, but Dev’s character was very held back and he doesn’t open up to anybody but to his friends.�� That silence which this character has in this film is what attracted me to him. Have you turned to your cousins: Sonam, Arjun or Rhea, for any advice? We are all young and around the same age, so all we do is chat about films. Also because we�۪re all the same age, it is awkward to give each other tips as such. ��I think every actor has his own journey and you have to go and discover it through your own experiences. ��They have done it their way and I am doing it my way. ��We have just got to be hardworking and focused. Can we expect your younger brother, Akshay, to step into movies anytime soon? Akshay is completely busy with the set up in Delhi.�� He is handling the work with my father (Sandeep Marwah) on the studios, as well as the much acclaimed film school, ��Asian Academy of Film and Television�۪. ��Maybe both of us could produce a film later��in the future. Lastly, any message for your fans in the UK? I love England.�� I’ve been coming there as a child. ��Whenever I get a small break my first destination of choice is the UK! ��I have a lot of memories in the UK as my brother used to go to school there too. Whenever I went to New York I would make sure I stopped in the UK while flying out and flying in.�� I’ve spent a lot of time there.�� I love the people, the food and the huge Indian community which is amazing. ��Keep supporting Bollywood! BizAsia thanks Mohit Marwah for taking out time for the interview and wishes him a lot of success in his career as an actor.�� Catch his debut film, ��Fugly�۪, in cinemas near you from 13th June 2014. Next articleDirecting on Jimmy Shergill’s wish-list?